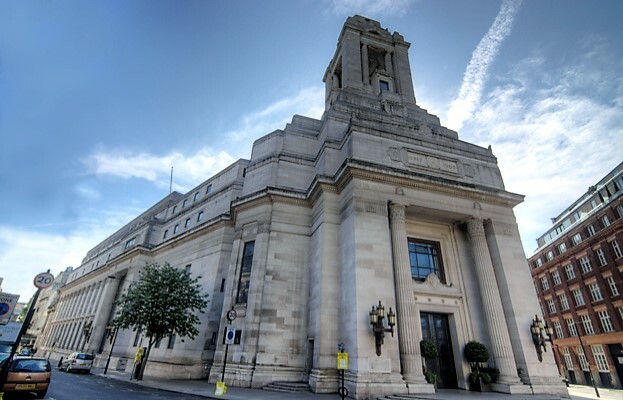 Freemasons UGLE (United Grand Lodge of England) Headquarters, Covent Garden, required the de-installation of the old analogue CCTV camera system and installation of the latest Axis Digital CCTV cameras and Paxton Security door entry systems along with all necessary cabling throughout the building. Specialist solutions were required for securing door entry and exit points as well as CCTV cameras and cable installation throughout the building. These solutions were required for drilling into both listed marble and wooden door structures to secure all peripheral equipment and to secure all surface mounted cabling without using standard fixings that would require drilling or clipping. Visual Technologies were successful in implementing the solutions without impacting on the buildings Grade 1 listing and without hindrance to the day to day running of the lodge including the museum, library and other public areas where visitors are allowed. Special consideration was also given to the numerous masonic meetings held throughout the building.